Posted from Hong Kong, New Territories, Hong Kong. The New Town Plaza in Sha Tin has a treasure trove of western style restaurants. The waft of fresh baked pizza from the Italian place was especially tempting. 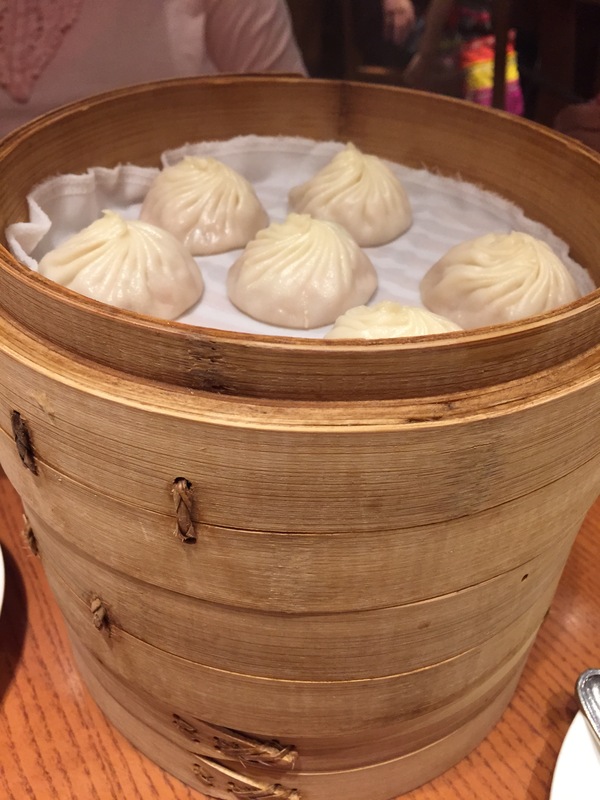 Instead, we migrated to a place famous in Los Angeles, Din Tai Fung. 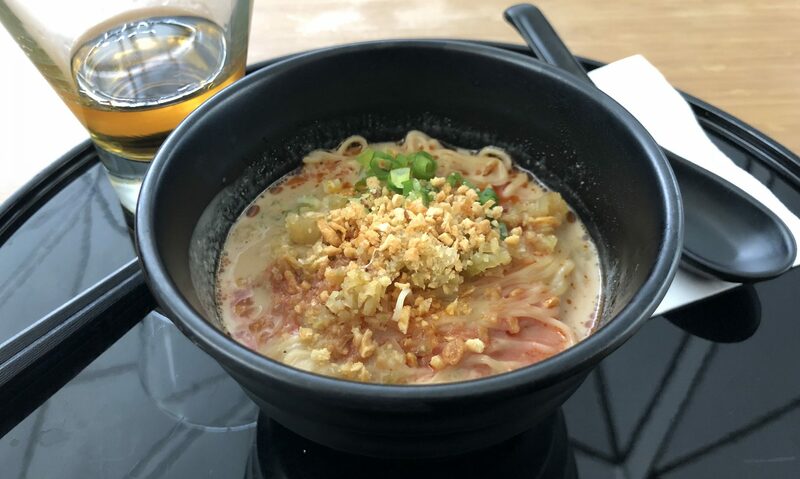 Originally from Taiwan, this chain has earned a Michelin star, and has opened locations around the globe, including two in Southern California that we’ve been too lazy to drive to. 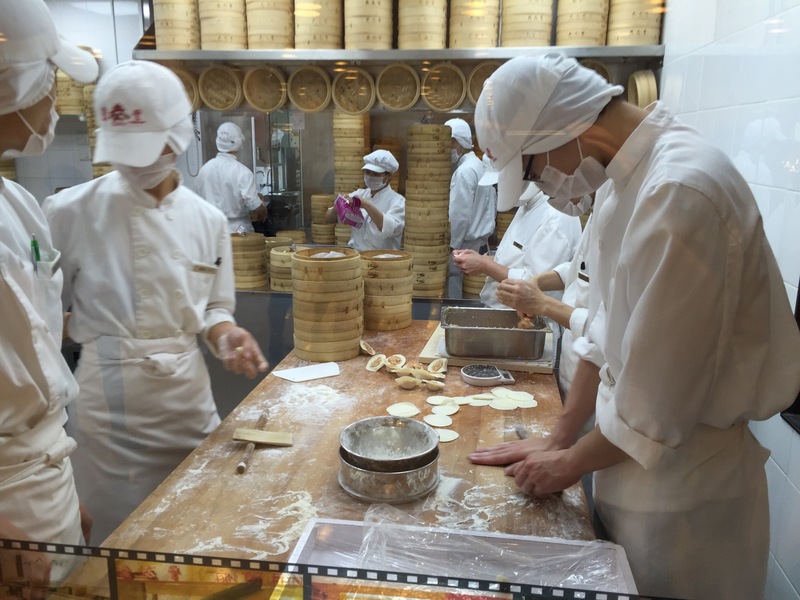 So instead we braved the 14 hour flight to try the famous Shanghai soup dumplings in the Hong Kong location. Let’s see if we agree with Jonathan Gold’s review. 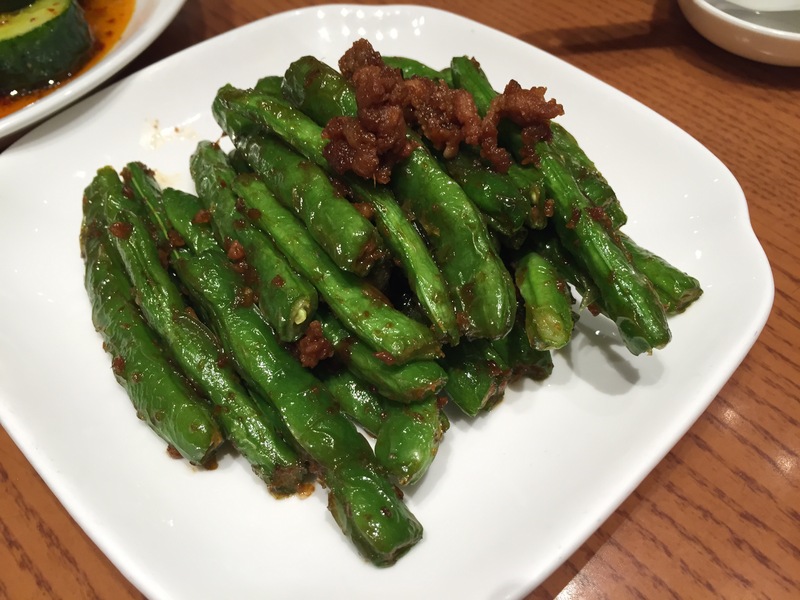 Green beans grilled and tossed with pork – chilled, but not greasy, and a perfect texture. 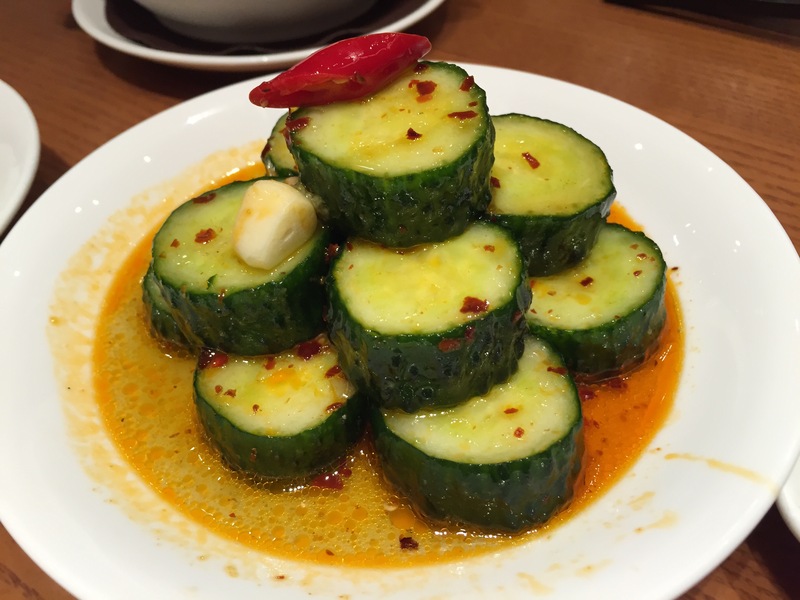 Crispy cucumber in a spicy garlic chile sauce, just the right amount of heat. 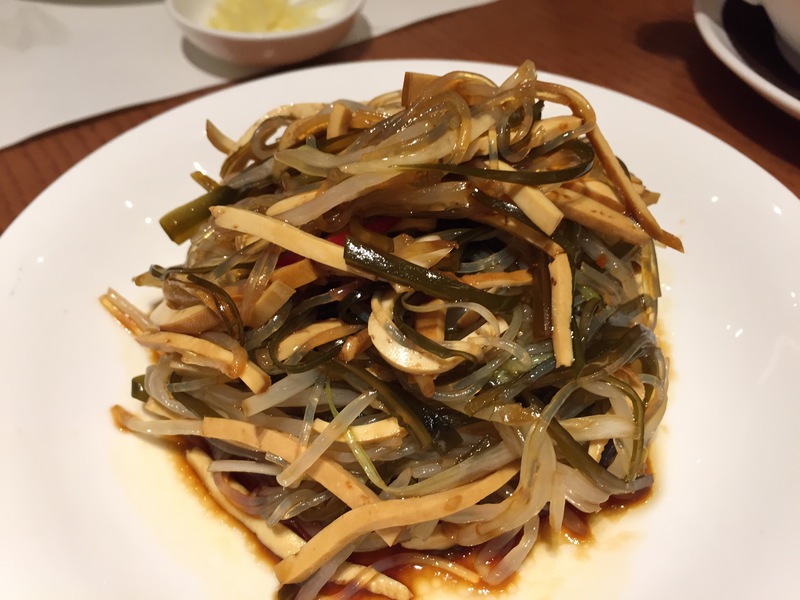 Glass noodles tossed with tofu and bean sprouts. Also lightly spicy, and chilled which was pleasant on a hot evening. 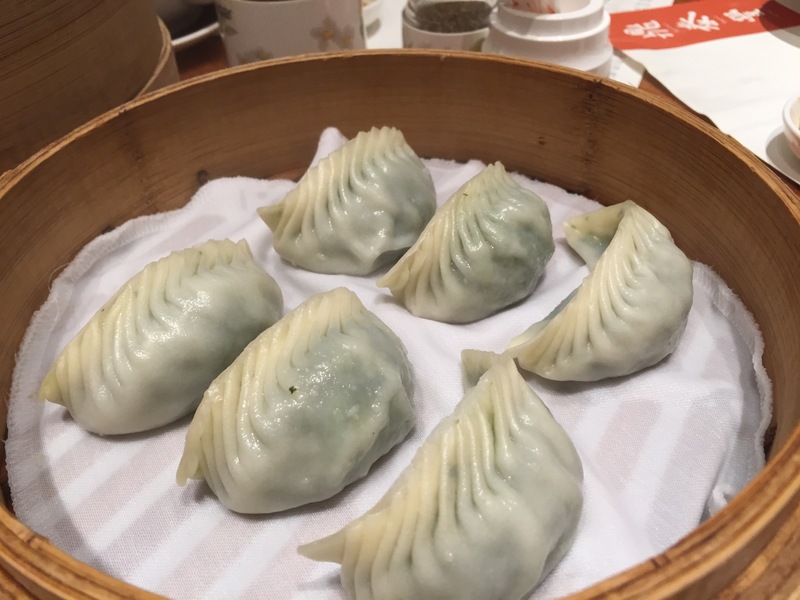 The main event, Shanghai soup dumplings. 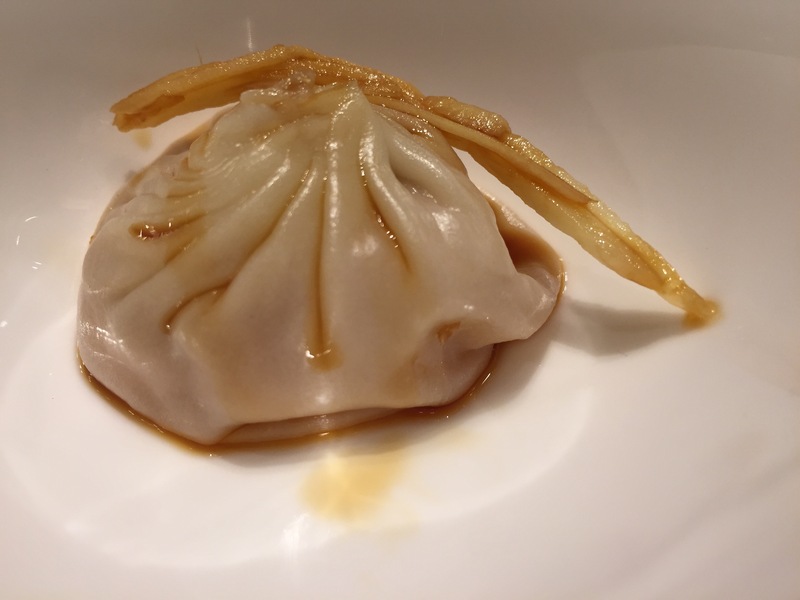 The pork was fall apart tender, the broth rich and savory, the dumpling wrapper perfect and unbroken, and the vinegar and ginger a perfect compliment. The overall sense of freshness was astounding. The mushroom and vegetable dumpling was surprising flavorful considering how much green stuff was minced in, but not my favorite. 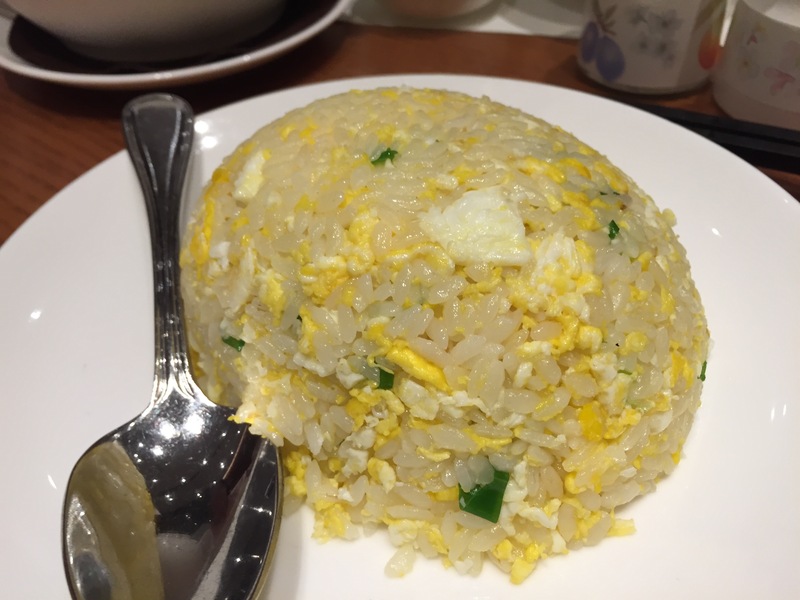 The fried rice was exceptional, but again, how could it compare to the rest of the meal? Ok, so I’m sold. While we’ve had good soup dumplings on Sawtelle, I’m more than willing to make the hike to Glendale. Or perhaps stop by Irvine on one of our treks to San Digeo.